A vibrant mix of global cultures and languages, Jakarta, the capital of Indonesia and the largest city in Southeast Asia, is a true melting pot. Home to over ten million people, Jakarta is a busy, cosmopolitan city, offering a contrast of family-themed recreation by day and incredible nightlife at night. To help you navigate this amazing city, below are five must-see attractions in Jakarta that no tourist should miss. Traveling with kids? No trip to Jakarta would be complete without a visit to Ancol Dreamland, one of the most exciting places in the city. This massive amusement park on Jakarta’s waterfront features numerous rides and attractions, including water parks, beaches, a golf course, art market, marina and its own SeaWorld. Rickshaws, cable cars, and mini buses are available to help visitors travel the length of the park. It’s best to visit on off-peak times during the week, because the park becomes incredibly packed on weekends and holidays. 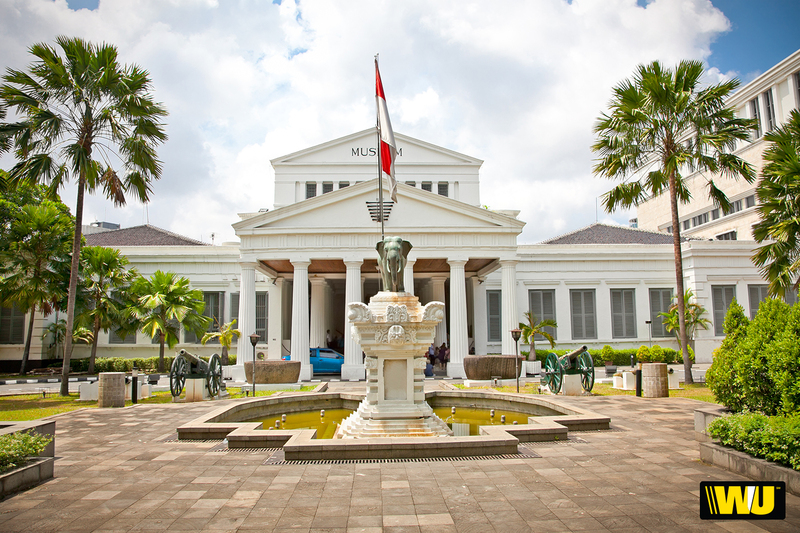 If it’s culture you’re after, look no further than Museum Nasional, Indonesia’s National Museum. The landmark is a mix of archeological, historical, ethnological, and geographical treasures. Built in 1862, the museum houses a collection of 61,600 prehistoric and anthropological artifacts, and 5,000 archeological artifacts from all around Indonesia and Asia, making it one of the finest and most complete collections in Southeast Asia. If nightlife interests you, then see if you can visit the Potato Head Garage, an abandoned stadium converted into a vintage steakhouse, lounge, and dance club under the cover of wonderful and shining chandeliers. The only thing more impressive than the food and decor is the sheer size of the place and its massive bar. This 420-acre park houses 2,500 animals, including giraffes, Bengal tigers, orangutans, hippos, zebras, elephants, Komodo dragons, and other Indonesian species! The park is a center for conservation in Indonesia, and has obtained both national and international accreditation as the best conservation institute in Indonesia for wildlife management. Several wildlife shows are offered at the Safari Park, including an Elephant Show, Dolphin Show, and Wild West Show. There’s also an amusement park that offers rides and animal exhibits, and bungalows and camping sites for overnight guests. A visit to Jakarta wouldn’t be complete without a visit to the Istiqlal Mosque, the largest mosque in Indonesia and Southeast Asia. Visitors will be amazed by the sheer size of the mosque and its surrounding buildings, which cover approximately 900 acres. The mosque has five levels, including a giant prayer hall and gorgeous golden dome that leaves visitors in awe. If you make sure to visit these 5 destinations, your trip to Jakarta will be both fun-filled and full of culture. The country of Indonesia is beautiful from here to Bali, so if you have the opportunity to see it up close, don’t take it for granted.